Campaigning is winding up for the French presidential hopefuls before voters hit the polls on Sunday. The results could have grave consequences for the EU’s flagging economy, as the socialist frontrunner threatens to veto the Fiscal Compact treaty. 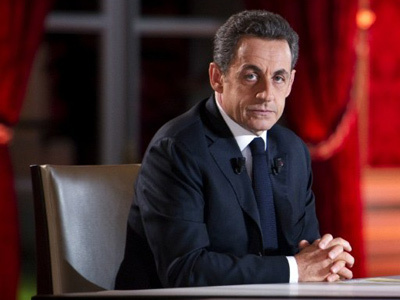 Socialist candidate Francois Hollande is expected to pip current president Sarkozy to the post in the first round of voting on Sunday. According to a survey by French newspaper Le Monde, Hollande is predicted to take 29 per cent of the vote, with Sarkozy close behind on 25.5 per cent. Far-right candidate Marine le Pen, who favors the reintroduction of the franc, will likely take around 16 per cent, with left-wing hopeful Jean-Luc Melenchon bringing up the rear on 14 per cent. 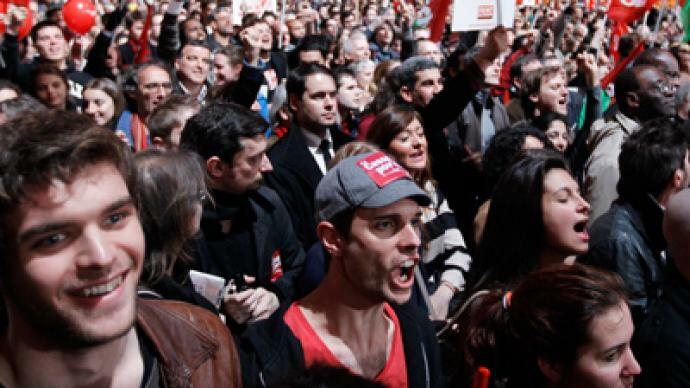 A campaign blackout comes into effect on Friday evening in preparation for Sunday’s polls, from which a record 32 per cent of French citizens are expected to abstain. Economic policy has taken center stage in the battle for the French presidency with each candidate promising voters a way out of the spiraling economic crisis. 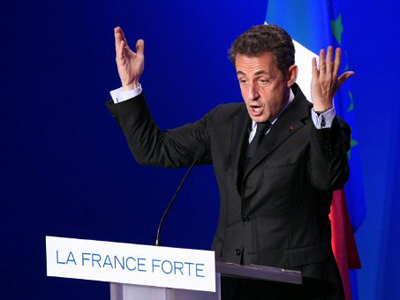 Current head of state Nicholas Sarkozy has favored austerity measures to drag the country out of the financial downturn. But his billion-dollar cuts to the French welfare sector, an increased retirement age and unemployment of over 10 per cent have seen his popularity plummet recently. Despite a recent toughening of his policies, pledging to freeze France's funding of the EU and bringing back border controls, he has been unable to shake the stigma. 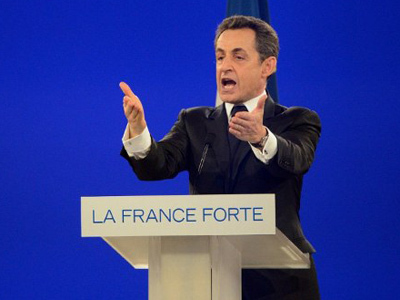 However, Sarkozy has got behind the European Union’s Fiscal Compact treaty, which ensures fiscal discipline in the subscribing countries, helping him win the support of German President Merkel for his candidacy. 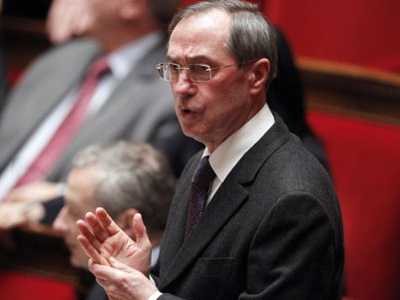 In contrast, his primary rival Francois Hollande takes an altogether different approach to economic policy, threatening to jump ship from the eurozone treaty if it does not guarantee French growth. He believes that combined austerity cuts in Europe will only serve to aggravate the crisis, increase the ranks of Europe’s unemployed and make it harder for the debt-racked economies to revitalize their economies. A Hollande victory could result in a significant rupture in German-French relations, upsetting a partnership that has dominated eurozone economic policy in recent years. Campaign critics have said that Hollande’s popularity is not, in fact, due to his policies, rather his opposition to Sarkozy’s increasingly unpopular cuts and camaraderie with Germany. Whatever the results of the French elections, it appears that France’s “honeymoon” period with Brussels is at an end. “The big question is now ‘Europe for what?’ and ‘Europe for whom?’ Is it Europe for the bankers, Europe for trade, Europe for business? Or is it a Europe of citizens, a Europe of social rights,” Bruno Cautres, a political analyst from Sciences Po university, told RT. 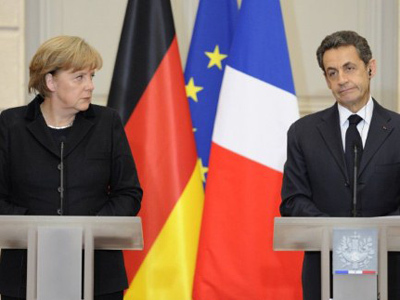 Franco-German axis: Joint push for Euro dominance?